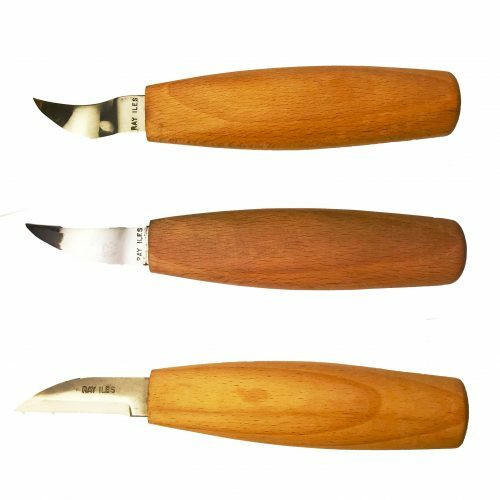 This set of three carvers gets you started on the intriguing world of a spoon carver. Using O1 tool steel is just right for this use of fine bladed tool. Nice beech handles finish off the tools. There is a shallow cube, deep cove and a straight blade.